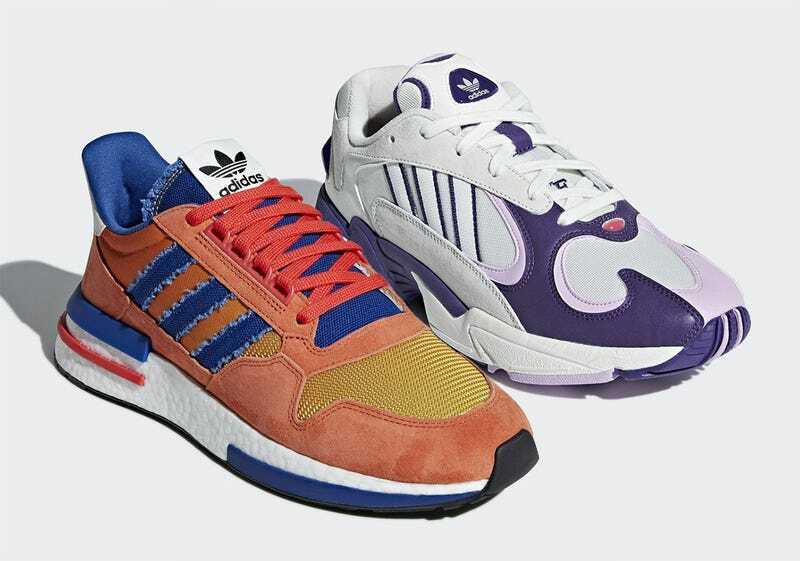 OK, we’re pretty much done with leaks: these are some of the first official shots of Adidas’ anticipated upcoming collaboration with Dragon Ball Z, and they show the first two pairs are running with a Goku vs. Frieza theme. As Sneaker News reports, the Goku shoe is a modified ZX500 RM, which is not just in his signature colour scheme but also has some extra fraying, prints and embroidery. Frieza, meanwhile, gets a Yung-1. Both shoes will be out in August. No word on price yet.